One voice commanding change, this is how to create a culture shift, one that moves away from healthcare and into wellcare. The Institute continues to be a trusted voice on critically important public health issues, and a driving force behind legislative solutions. 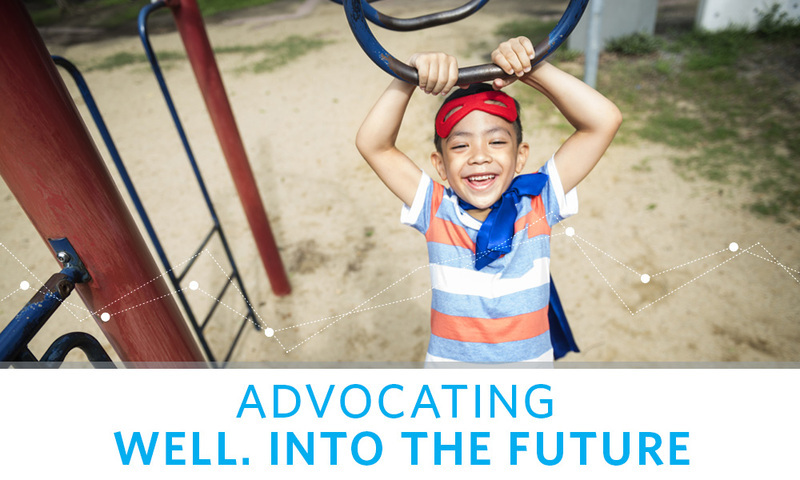 From removing barriers to physical activity to providing schools much needed resources to create healthier environments, The Institute works with all levels of government to bring about common sense public health policies that make living well easier for everyone. The Institute leads and supports a variety of public policy initiatives at the local, state, and federal level. 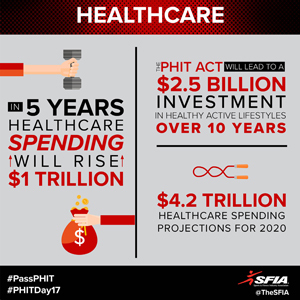 From ensuring that physical activity is recognized as a qualified medical expense to advocating for much needed resource funding for schools nationwide, we are committed to providing everyone with the opportunity to experience good health. 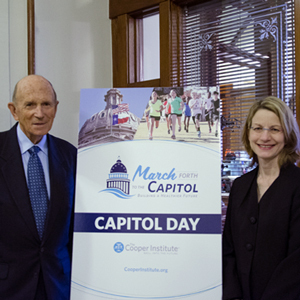 Every biennium in Texas, The Cooper Institute hosts Cooper Capitol Day to bring together a dynamic group of volunteers with a singular purpose – to help raise a healthier generation in Texas. Everyone has a voice, and when a group of passionate volunteers come together and use their voices collectively, change happens. Join us by lending your voice to our mission. We are entering into an era of unprecedented growth. While we advance as a society in the areas of technology and science, we are also advancing further into physical inactivity, obesity and chronic disease. Science has allowed us to live longer, but are we really living better? Imagine a world in which our youngest generation never experiences early onset type 2 diabetes, never faces having to work in an environment that is a health hazard due to secondhand smoke exposure, and where daily physical activity is simply a way of life. This is a reality that is not only possible, but entirely within our reach. This is the reality that The Cooper Institute® fights for every day. We’re asking you to join us in this fight as well.